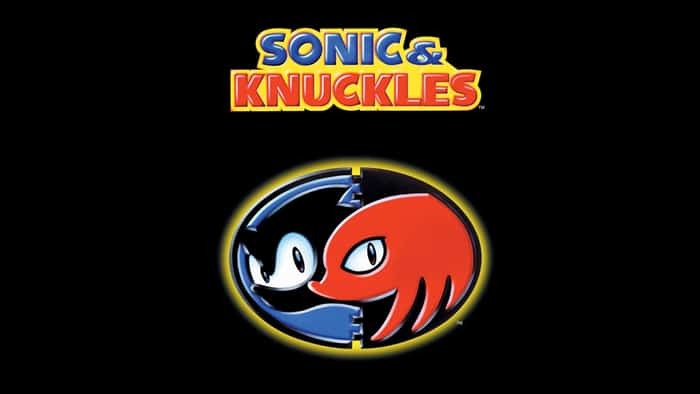 Play as Sonic or Knuckles as the power of the floating island's Master Emerald is revealed in this concluding sequel to Sonic the Hedgehog 3 (now featuring a unique lock-on technology, granting special features when "locked on" to certain other games). Sonic and Knuckles continues the story directly from where Sonic the Hedgehog 3 left off. Play Sonic & Knuckles online! The explosion from the Death Egg sends Sonic flying deep into Floating Island’s Mushroom Hills. Sonic knows of the Master Emerald hidden somewhere on Floating Island, and is sure that Dr. Robotnik wants it to give his Death Egg limitless power. Knuckles probably knows where it is – but can Sonic stop Robotnik’s plans and find the Master Emerald all while fighting off Knuckles? Meanwhile, Knuckles is guarding Floating Island when he’s attacked by one of Robotnik’s robots! He quickly begins a chase for revenge. Sonic & Knuckles is the fourth game in the Sonic series. It retains the same basic features as in the previous Sonic games (speed, rings for protection, Special Stages with Chaos Emeralds) as well as the three different shield types introduced in Sonic 3 (Fire, Water and Electric). Players can select either of the two title characters for play – either Sonic, or the all-new Knuckles the Echidna. Knuckles cannot jump as high as Sonic, but he can glide by holding the jump button while in the air. If you glide into a wall, Knuckles will also be able to climb it. He can also break through walls that Sonic can’t. With these abilities, Knuckles can access different areas from Sonic, making for each level an entirely new experience. Unlike Sonic 3, Sonic & Knuckles features three bonus stages – two are available by jumping into the lamppost checkpoint stars (as in Sonic the Hedgehog 2. These stages give you the chance to earn bonus rings, lives and power-ups. The first is a Casino-themed level where you can jump into a slot machine and earn (or lose!) rings. The second is a more skill-based level where you must time your jumps off orbs to launch higher and collect bonuses. If you hit the barrier at the bottom of the stage, it ends. The other type of bonus stage is the “Special Stage” seen in Sonic 3, which, as previously, can be accessed by jumping into giant rings hidden within the levels themselves. If the player collects all the blue spheres in these stages (while avoiding all the red ones) they will earn a Chaos Emerald. A unique feature of the Sonic & Knuckles cart is the ability to “Lock-On” previous Sonic games into a cartridge slot at the top. Adding Sonic 3 will combine both Sonic 3 and Sonic & Knuckles into one long game, as well as adding the ability to save, and use Tails in the Sonic & Knuckles levels. Plugging in Sonic 2 lets players use Knuckles in Sonic 2, as well allowing the use of his glide and wall climb abilities. Finally, plugging in the original Sonic the Hedgehog cart lets the player access unlimited level variations of the Blue Sphere bonus stage. Subsequent re-releases of Sonic & Knuckles have also included most of these bonus features. You can play Sonic & Knuckles online here, in a web browser for free!